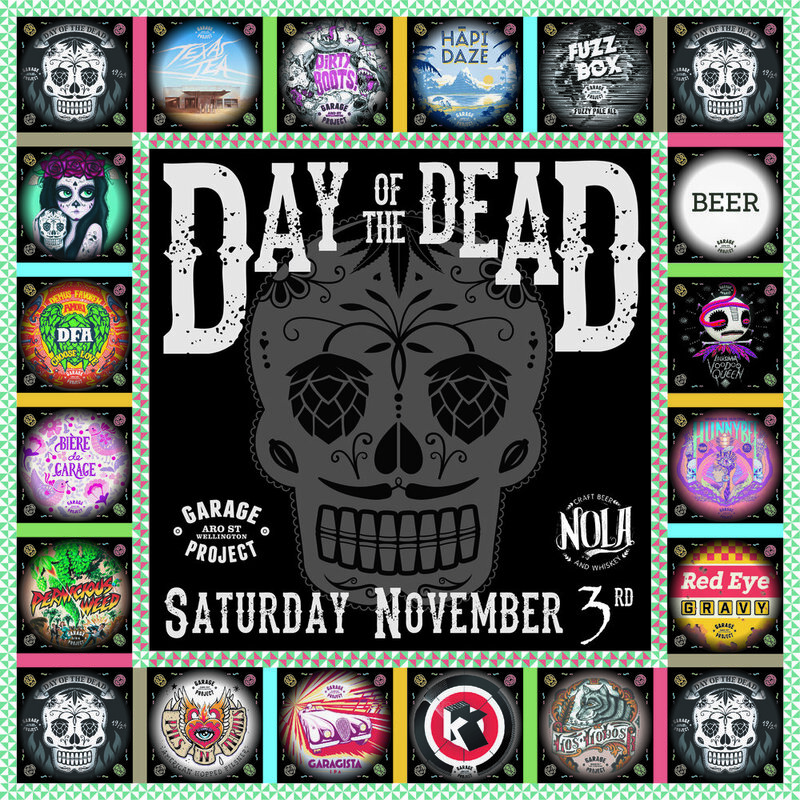 We'll be tapping 16 Garage Project beers including Day of the Dead (Chili Chocolate Black Lager), La Catrina Calavera (Habanero and Rosewater Corn Lager) PLUS Louisiana Voodoo Queen (Coffee and Chicory Dubbel) and Texas Tea (Cactus Brown Ale) both of which are one of only 2 kegs in the country. In addition to the awesome lineup of beers we'll have face painters on duty all day long, live music and our own house made Pan de Muerto (bread of the dead). Last year was a bloody good time and this time around it's going to be even better.